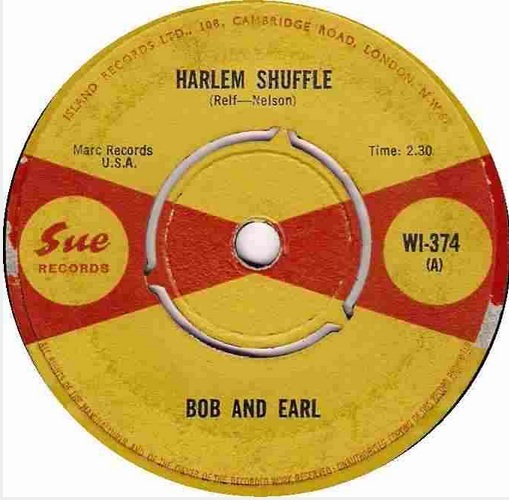 “Puppet on a string” by Bob and Earl was released in the UK on Sue LP ILP 951 – Bob and Earl – Harlem Shuffle. 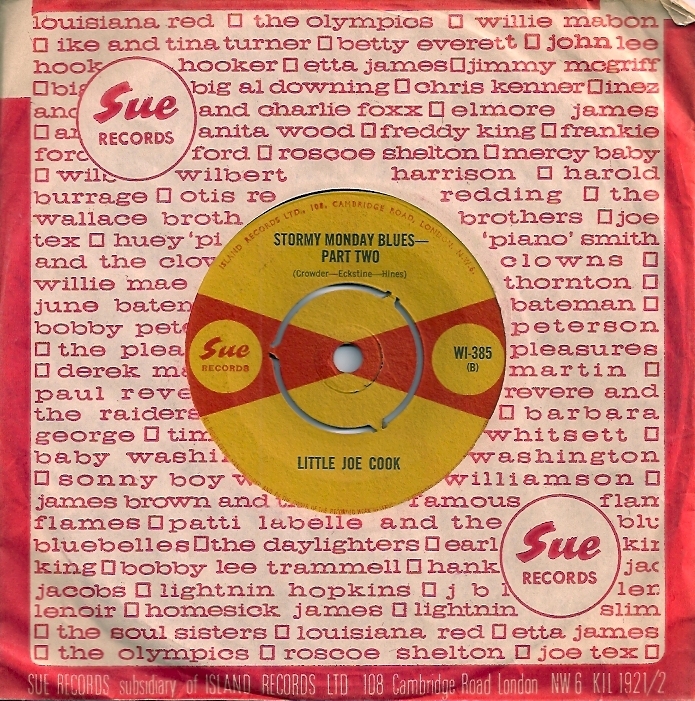 “Dancing everywhere” was released in the UK on Sue LP ILP 951 – Bob and Earl – Harlem Shuffle. 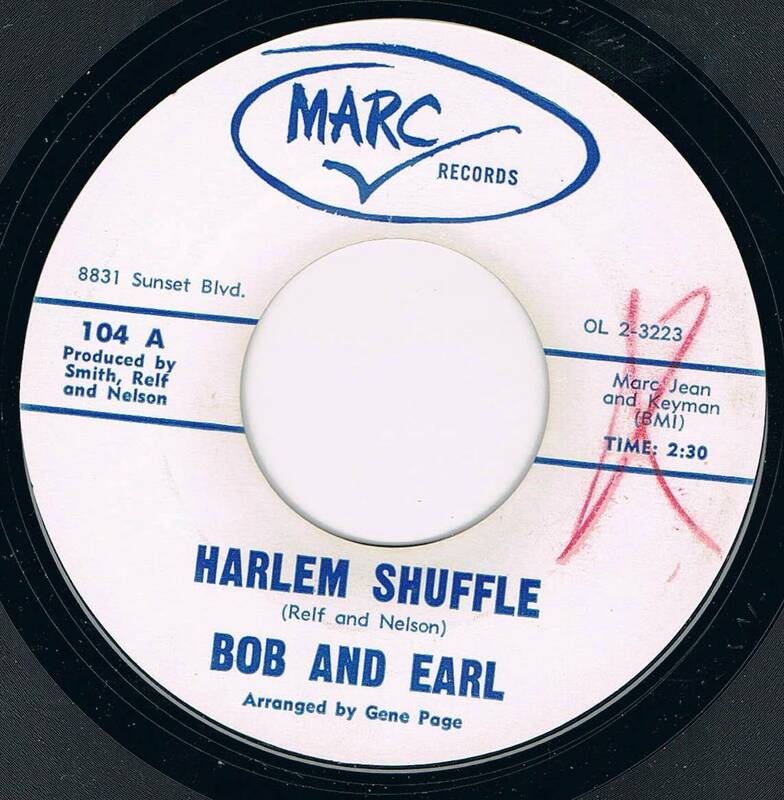 “Baby its over” by Bob and Earl was released in the UK on Sue LP ILP 951 – Bob and Earl – Harlem Shuffle. 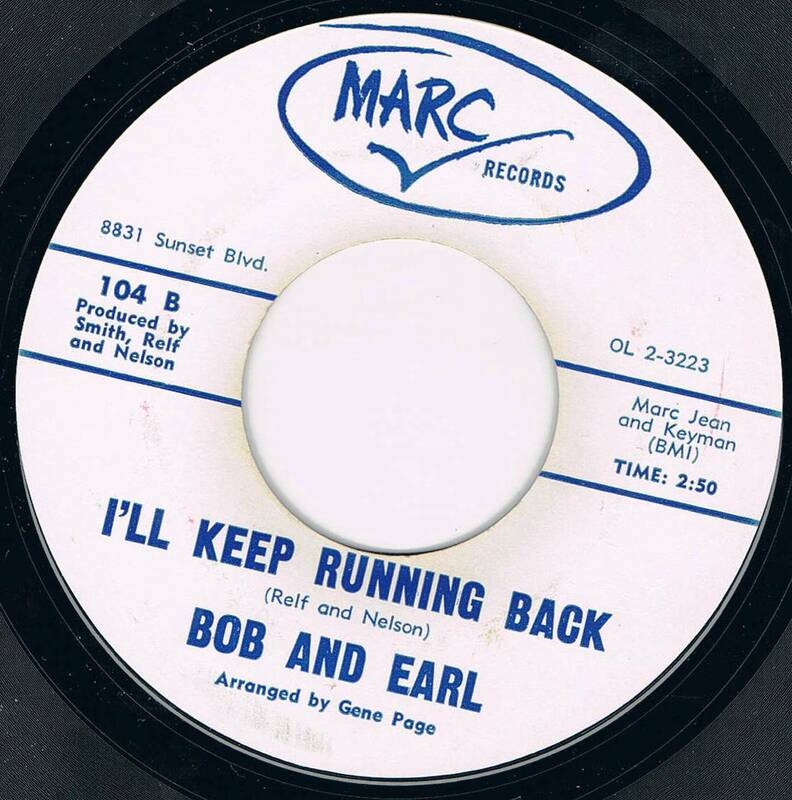 I’ll keep running back was the ballad on the B side of Harlem Shuffle. Your time is my time was a Mirwood single, placed on the UK LP of Harlem Shuffle. Bob and Earl were originally Earl Lee Nelson and Bobby Byrd (Bobby Day) but in the early 1960s, Bobby Byrd decided to pursue his solo career, and Bobby Relf became the new Bobby. 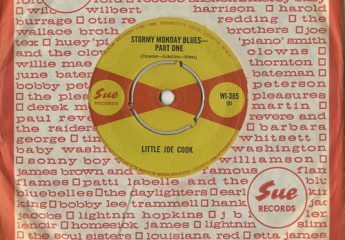 Bobby Relf had sung in a number of vocal groups which also included Barry White, who arranged “Harlem Shuffle” for producer Fred Smith. Earl Lee Nelson also recorded under the name Jackie Lee, and also maintained a solo career, and is probably best remembered for his records of “The Duck” and “Darkest Days”. The duo had already split up when “Harlem Shuffle” became a big hit in the UK on the Sue label, and reunited to tour and for further recordings. Relf and Barry White continued to work together for a number of years, Relf contributing songs to White’s LPs. Robert Nelson Relf was born on January 10, 1937 and died on November 20, 2007. Barry White (Barry Eugene Carter) was born on September 12, 1944 and died on July 4, 2003. Earl Lee Nelson (Jackie Lee) was born on 8 September 1928, and died on 12 July 2008. “Harlem Shuffle” reached US 44 Pop, UK Pop 7 (on reissue).